It’s funny how pop music and The Brit Awards seem so similar at first glance: mostly dreadful and never as good as when we were younger. At least, it might seem that way, but a quick YouTube look at the Mick Fleetwood and Sam Fox debacle of ’89 will swiftly put you straight. For the benefit of overseas readers, The Brit Awards are the UK Grammys, only with added alcohol, as is befitting of this proud island race of heavy drinkers. We watch The Brits not for the performances but for the mistakes and comedy incidents. There was the Bowie tribute, which part of me dreaded would be the likes of One Direction singing “Let’s Dance” as a duet with Cheryl from Girls Aloud, or Blue and Sugababes vogueing to a dance remix of “The Man Who Sold The World” with Professor Green and Skrillex. Less “Opening Olympic Ceremony” and more “Concert to celebrate the Queen’s Jubilee” if you see what I mean. Adele got steadily more sloshed as each award was presented to her, going from “best behaviour” mode to full effin’ and blindin’ Tottenham girl in the space of three awards, and presumably as many bottles of good champagne. 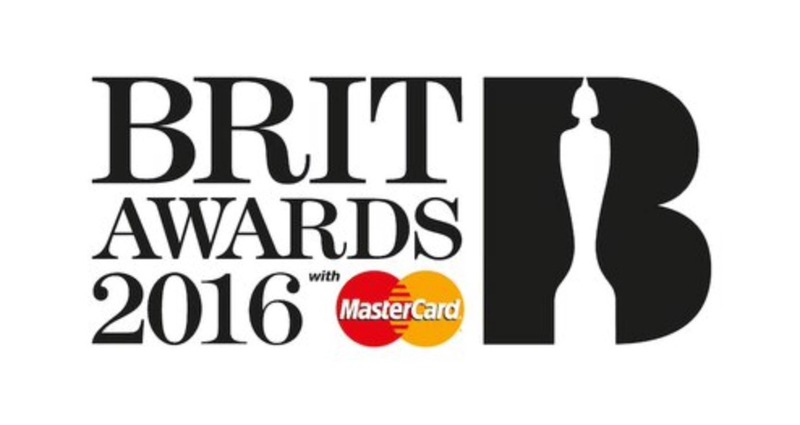 But what if The Brits 2016 had taken a leaf out of previous shows? What if it had taken all the best bits historically and adapted them to the current music scene? Can you believe it was twenty years ago that Michael Jackson pretended to be Jesus Christ, causing Jarvis Cocker’s bum-wiggling protest? Thank goodness we don’t have pop stars like that today. Ha! I mean, imagine if someone called themselves something that rhymed with Jeezus…? Perhaps this year, organisers could have asked Kanye to perform. (Preferably a mime). And then his current nemesis, Taylor Swift, could have got onstage and wiggled her derrière in front of the cameras. I certainly can’t see a downside. In 1998 the brilliantly named Dan Nobacon of the less brilliantly named Chumbawumba entered the Brits Pantheon of Legends by assuming politician and then cabinet minister John Prescott would enjoy a refreshing bath of cold water whilst watching the performance, and tipped a large bucket of water over him. Although the assumption was mistaken, it nevertheless set a decent precedent. Couldn’t we have persuaded Nigel Farage to pop along this year to take his medicine? 4. The Belle and Sebastian Vote-Rig. In 1999 the little known Scottish indie popsters Belle and Sebastian were on their third album, making them ideal candidates for the “Best British Newcomers” Award. In their way, the mighty Steps, who had overcome a dodgy line-dancing related first hit to become the one of Britain’s biggest pop acts. Fortunately, this was a publicly-voted-for award. Online voting was in its infancy, and after canvassing students at their former university, members of Belle and Sebastian won the award, probably because hardly anyone who listened to Steps was old enough to have unfettered access to even the slowest dial-up internet connection. This year, how about diverting those bots that flood ticket sales websites just so they can re-sell tickets at three times face value and get them to do something useful instead, like giving a leg up to obscure indie bands…? 5. The Brandon Block phantom award. In 2000 dance DJ Block was at the awards and in an advanced state of refreshment. His friends persuaded him that he had won an award, such was his inebriation and he went onstage to collect it, thus getting into a contretemps with baffled Rolling Stone Ronnie Wood, who was onstage to present an award for Best Soundtrack Album. The incident concluded with the contents of Wood’s glass being thrown in Block’s face. This year? If ever there was someone who was asking for a glass of beer to be thrown in their face, then surely Justin Bieber is that person? Couldn’t the organisers have slipped something in Bieber’s drink, put him on a table with Derren Brown, got Keith Richards to present an award and let nature take its course? ‹ Grammys 2016: Songs? Who Needs Them?